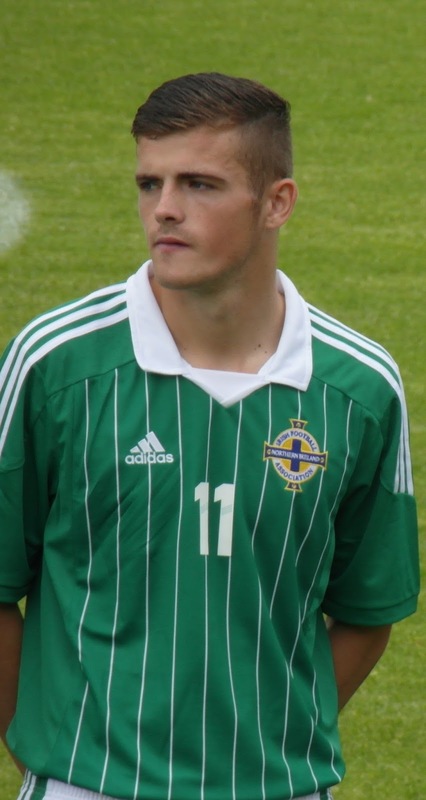 Representative Honours: Northern Ireland: 1 Under-21 Cap (2013). Club Honours: (with Cliftonville) Co. Antrim Shield Winner 2011/12. Awards: League Two Player of the Month Jan-15. Rory Donnelly's stunning early season form in 2011/12 saw him earn a move from Irish League Cliftonville to Premier League Swansea, with Liverpool, Arsenal and Everton also reportedly interested. Included in both Northern Ireland Under-21 and senior squads, he was capped for the first time in an Under-21 friendly against Denmark in August 2013. Donnelly's debut in full-time football came as a substitute against Crawley in the League Cup in September 2012. It was nearly a year until his second Swans appearance as he started a Europa League match at Petrolul Ploiesti. In January 2014 he was sent to Coventry on loan but stayed just a few days before returning to the Liberty Stadium having not played a game. Having also been plagued by injuries, he was again sent out on loan mid-way through the 2014/15 season, joining Tranmere. He scored his first senior goals since leaving Cliftonville against Accrington Stanley in his first start. Three goals in as many starts brought him the January League Two Player of the Month award. Donnelly was released by Swansea at the conclusion of his loan spell at Tranmere. He then signed for Gillingham on a two-year contract.